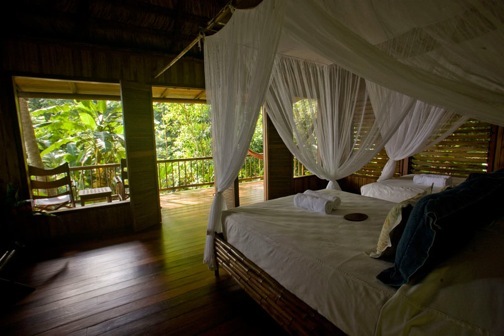 Located in a uniquely remote area (accessible only by boat) and a privileged position at the very tip of the Osa Peninsula in the southern Pacific region of Costa Rica, this 600+ acre forest reserve features private, spacious bungalows and gorgeous houses perched atop the cliffs of Cabo Matapalo.In this very remote area, you will find various dolphins and whales species, giant manta rays, sea turtles and much more. Bosque del Cabo offers a rare opportunity to vacation in comfort among this entire rugged natural splendor. At the end of the mile long driveway, you are transported to a private Eden joining the raw nature of the rainforest to the tranquil beauty of manicured grounds and breathtaking views. 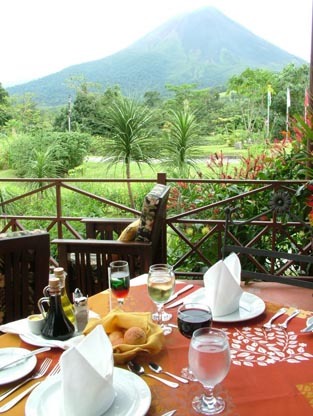 The lodge’s lush gardens, full of tropical fruits and flowers, attract many of the colorful resident wildlife species. 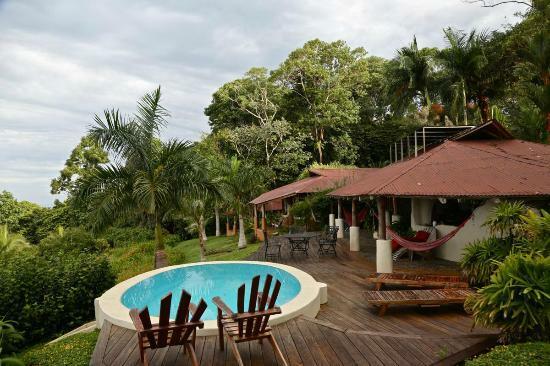 Bosque del Cabo offers 10 private bungalows and 2 gorgeous rental houses, Casa Blanca and Casa Miramar, both with all the comforts of home, yet located in the rainforest and each with beautiful ocean views, tropical breezes, and the rainforest at your doorstep. All of the accommodations are tastefully arranged along the bluff of Cabo Matapalo. Each beautifully crafted thatched-roof bungalow offers private bathroom, outdoor garden shower, solar-powered electricity, and a porch furnished with hammocks and easy chairs, with spectacular view of the Golfo Dulce and Pacific Ocean. All bungalows also include mosquito netting and screened windows for your comfort. Trails on the property lead you to deserted beaches on both the Golfo Dulce and Pacific Ocean and through the rainforest, where you can enjoy refreshing natural pools and waterfalls, along with an abundance of resident wildlife such as; macaws, toucans, parrots, monkeys, and from time to time even rare jungle cats (like pumas, jaguarondis, ocelots and jaguars) can be spotted on the property.